Many Australian cities are positioned on the coast at the mouths of large estuaries, meaning the options for sailing are abundant. 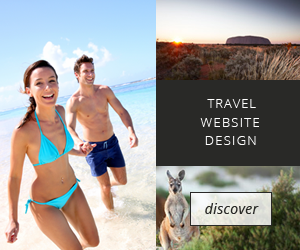 Tour operators across the country offer sailing in Australia packages for children and adults, corporate sailing events, and tours for more seasoned sailors. With so many options available, you’d be mad to miss out on the most leisurely way to see this beautiful country. 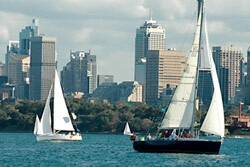 No matter what your standard is, there is always a sailing in Australian package to suit you. Queensland, particularly Mooloolaba on the Sunshine Coast and Scarborough in Brisbane, is a very popular sailing destination. One of the best ways to see the Great Barrier Reef is to take a trip on a sail boat. Such tours often encompass other activities, including snorkeling and even scuba diving. The Whitsunday Islands, a protected area surrounded by reefs, crystal clear waters and remote white sandy beaches, offer an unforgettable adventure for those sailing in Australia. A little slice of paradise, boat tours to these islands can last up to a few days and can be taken on a range of vessels, from tall sail boats to catamarans. There are different classes of boats to choose from too, some of which feature luxury cabins and all mod cons, such as hot water and air conditioning, not to mention beautiful open decks that soak up the sun. Some sailing trips in Australia also go farther afield to Tasmania and New Zealand, so ask a tour operator for the latest packages if you’re feeling adventurous.